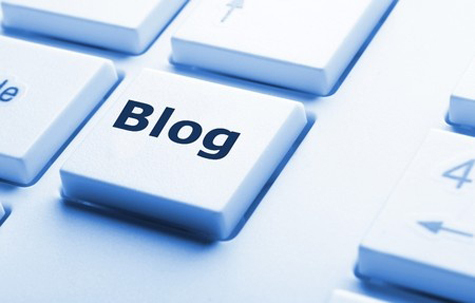 Blogging for profit in retirement has taken a huge upswing. Now, you can learn to make money online and create extra retirement income. When I retired back in 2006, I had a small clue about blogging...and really had no idea what a gold mine it was for making great money on the Internet. Thank goodness I found out, that first year, how lucrative blogging could be. I only had one novice site, but with all the reading I did (and all of the phony expensive courses I purchased) I learned quite a lot. When I stumbled upon SiteSell - Site Build It, they had a blogging module already included. I didn't have to mess with learning WordPress, or fussing with Google Blogger. SBI had everything, built-in, that I needed. *Disclosure: Look, before we go any farther, I want you to know I am NOT some Internet star who makes huge amounts of money blogging merrily along. I have 12 sites (each with their own blog) and they each net me only about $20 - $25 bucks a day. However, since I am pulling that from a dozen sites, it gives me about an extra $6000+ to mess around with (travel, stay at nice resorts, eat out, go to concerts) each month. I figured out this strategy on my own, but there is now a great Kindle book out called, How To Make Money Online, that will truly shorten the learning curve. For me, making a little over $6000 extra per month, is fine, but I do plan on expanding to more sites. The problem is, twelve sites can keep you real busy writing interesting articles, each week, to maintain your readership. People stop coming to your site/blog if you are not providing them something to make their live easier, more exciting, or more profitable. 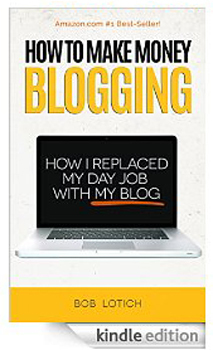 My reason for generating this particular article is because I found a great little Kindle book, How To Make Money Blogging, that can help accelerate your insight about getting started with your own blog. I think I purchased it for 99¢, but I have even seen it offered for FREE. Listen, this is NOT a book that guarantees you will make boat loads of money on the Internet. What it is, is a great overview of how to get started, monetize your blog, promote your blog, and sustain an increasing community of readers. You will make money through your own intelligence, creativity, and hard work. And yes...blogging is hard work. It is not digging ditches, but it requires you to sit in front of a keyboard for several hours each day, creating original and compelling content that people find interesting. Nothing about any of that is automatic. My little business network has taken seven years, and there were a lot of months when I was making just $100 per day, total. Blogging for profit in retirement is not writing some little 300-word post, then sitting around in your pajamas while the money rolls in. You have to separate yourself from the other 215 million (2014) blogs out there. Bob Lotich's inexpensive little book will help you do that. He is very straight-forward about consistently putting in the hours to create content, and increase your page views per day. Before I go, I want you to know one more HUGE advantage of establishing your own home business in retirement: It qualifies you for an enormous amount of legal tax write-offs that can put $300 - $500 dollars of your own money back in your wallet each and every month. 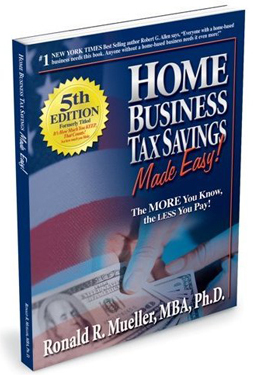 Spend $30 bucks and get Dr. Ron Mueller's Home Business Tax Savings Made Easy. It will be one of the best business investments you will make for the rest of your life. Dr. Mueller is a Naval Academy graduate who has broken down the complexities of the entire United States Tax Code to provide you with every legal tax write-off you can take when you operate a home business. Trust me, when you see how much you have been over-paying your taxes because you were NOT operating a legit home business, you will want to tell all of your friends. Sadly, there are many SBI owners, who, for ever reason, do not see their work as a business...and they leave money on the table. I do not want to see you make that mistake. The great thing about blogging is that you can do it from just about anywhere...National Parks, resorts, the beach, a secluded Rocky Mountain lodge, city parks, or an out-of-the-way diner. *Is it any wonder why travel sites are so popular with retirees who blog for profit? They get to travel to all kinds of beautiful places...and just about every expense is a tax write-off. If you have a laptop, a decent digital camera, and a WiFi connection...you are pretty much good to go. All you have to add is the commitment to work hard and creatively each and every day. 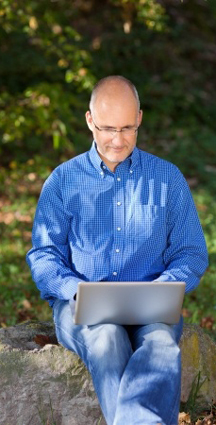 Blogging for profit in retirement can become a reality.